We offer you the ability to hold a Recycling Event as a fundraiser for the non-profit of your choice. 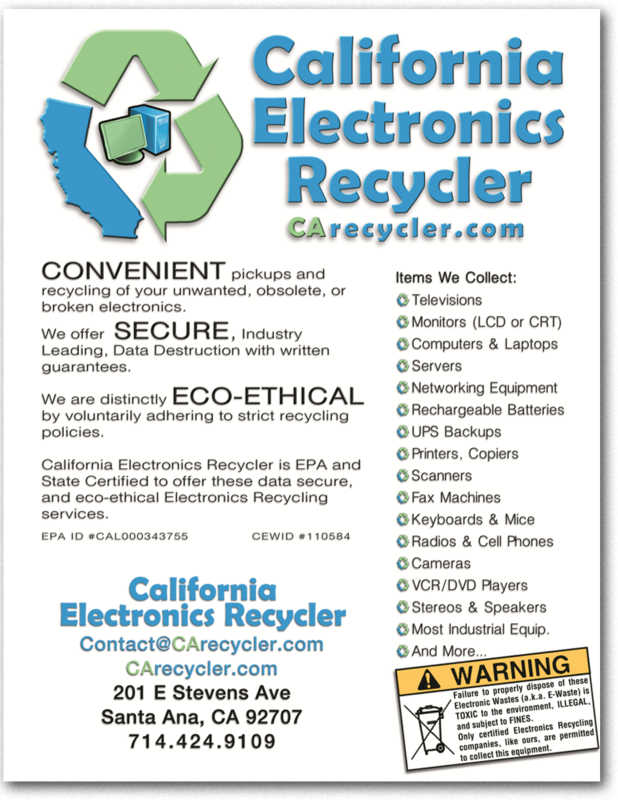 We have previously worked with Ralphs Grocery and the Susan G. Komen Foundation to create local E-Waste recycling events. Please contact us for more information about how you and your organization can raise funds for your favorite charity.